It is important to manage the way in which the calls are being initiated on a Voice over Internet Protocol network. Protection was not a major concern initially for the VoIP systems and with the wider acceptance of VOIP systems, it has become a prime concern. VOIP is also susceptible to most of the threats that are prevalent in the internet. When it comes to protection, Session border controllers have a crucial role in protecting the enterprise network from the issues like the Denial of service, toll fraud and other attacks. The session Border controller devices are deployed in Voice over Internet Protocol networks to manage and control the call (session) initiation, conducting and terminating the calls. It also take control of the security as well. At DataVox Private Limited India we are dedicated in offering session border controllers for range of VOIP networks across various domains. By installing the Session Border controllers we make sure that your VOIP network is protected from the external threats and it maintains the full session and deliver the following functions. Connectivity: SBC makes sure the proper connectivity among different parts of VOIP network through the use of different techniques. Media services: The Session Border controllers we deliver offers the border based media services and controls for a smooth exchange of data including the fax, video and voice. We have shown our dedication in offering the best to the industry that brings in the result the organizations wanted. We are well concerned about the security of your VOIP system. The protection of the VOIP network is as important as the organizational data. If you are considering to deploy the session border controllers in Kerala to the existing VOIP systems or to deploy a new one then DataVox Private Limited India could be the best to count on. The advanced features of the controllers makes it perfect for your business. 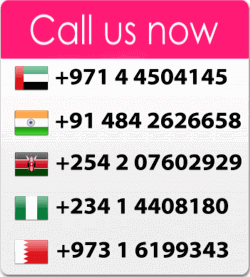 As the leading experts in providing VOIP systems in Kerala we recognize what you really want from us. By devising the best VOIP solutions with the world class Session Border Controllers, we help you in achieving the result you desire. Feel free to get in touch with us to know on Session Border Controllers in Kerala that can well integrate with the existing VOIP Systems. We will be much happier to offer you a lending hand in implementing the infrastructure you wish.